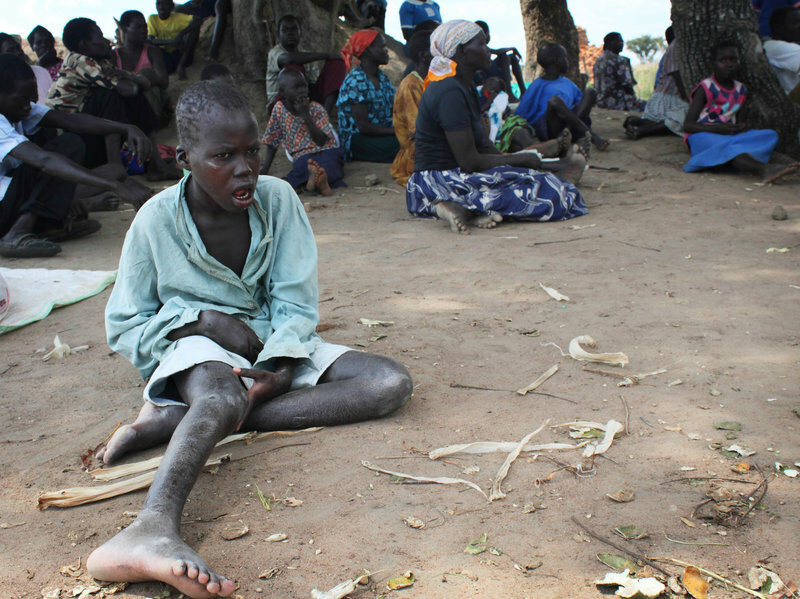 KAMPALA– The cure for nodding syndrome, a mysterious illness that has devastated the lives of children in northern Uganda, could soon be found following breakthrough research by the Ministry of Health. Dr. Richard Idro, a lead researcher at the Ministry of Health, said they have discovered that the disease is caused by Onchocerca volvulus (OV), a parasite brought by the black fly. “We found that Nodding syndrome is associated with Onchocerciasis, which is transmitted by Onchocerca volvulus found in black flies. This was after we tagged and mapped all the victims’ GPS coordinates which indicated victims’ concentration (population) along river Aswa which is an infestation of black fly,” Dr. Idro said on Friday, April 12, in Gulu Town while disseminating the findings of the study that started in 2015 in six districts. He revealed that the study specimens were taken to laboratories in six countries, which discovered fragments of proteins of OV peptides in the cerebrospinal fluids drawn from the victims. In his report, Dr. Idro stated that over 95 percent of the specimen (participants) with Nodding Syndrome examined preliminarily showed higher levels of OV antibodies than in epileptic cases. He stated that after spraying the affected areas, the disease prevalence went down. The report, however, indicates that the brain damages in the victims is permanent thus being on medication for life. “Even if we got the drugs that cure the syndrome, the brains of the already affected children will never be healed again because the infection damaged the brain permanently,’’ he said. It was also revealed that the brains of victims with severe conditions became smaller (generalised cerebral atrophy (thinning)) and degenerated like in the elderly with tau-protein deposits (taupathy). “Failure to grow is associated with abnormalities in the working of the growth hormone and most recent studies show brain degeneration like in the elderly, probably a terminal manifestation of the disease,” the report read, in part.